T-Bone sends in some Pics - - - 4 messages. Showing 1 through 4.
these are some of the pics from our recent canada trip. 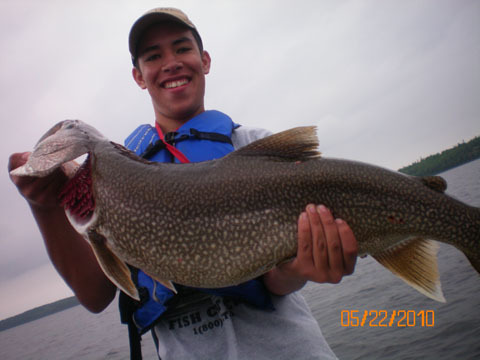 the northern was 32 inches, walleye 23 inches and the lake trout was 18 lbs and 36 inches. 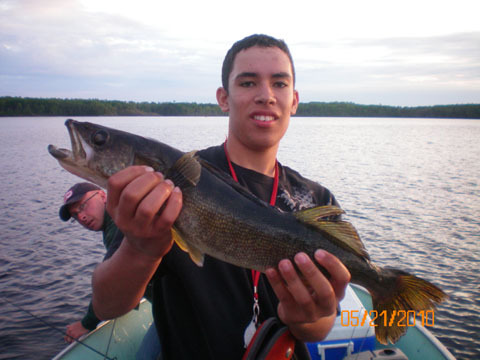 i caught that lake trout while fishing for walleye in 30 ft of water with a jig and minnow, with only my ultralite pole and 4 lb line!!!!!! it took me 45 min to reel in the beast!!! i will have video of it posted in a little bit. 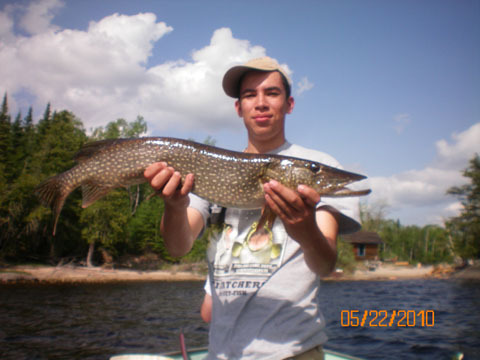 that was the first lake trout i have ever caught! Those are some sweet looking fish T-Bone! sounds like you had an awesome trip.